We know that many of our clients have used online dating. This often displays profiles and pictures for all the world to see. Online dating may and does work for some however, the difficulty is getting a great photo and writing a profile that will attract the right attention. This is where we come in as we are dating experts. 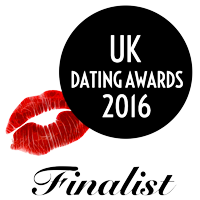 We can create eye catching profiles and attention grabbing photographs for a winning online dating profile. It’s difficult to write about yourself and make ‘you’ sound interesting to others and stand out from the crowd amongst the hundreds of thousands of online dating users. It’s what most people find hardest. A major part of what we do every day is profile writing. So we can create a great profile for you based on what you tell us in response to questions that are designed to find out about the real you. 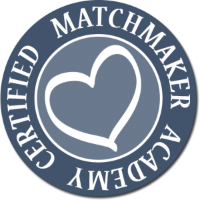 Our dating agency matchmaking clients get dates based on the profiles we write for them. So can you. A picture – worth a thousand words? This expression is so well known. It also happens to be spot on when it comes to internet dating profiles. If you put up the wrong profile picture it doesn’t matter how fascinating you might be, you’ll get filtered out very fast. So we can also help in assessing existing pictures for you. Alternatively we can refer you to an expert photographer who will ensure that your profile picture will always be of your ‘best side’ and show you in your best light. Your ‘online dating’ package – delivered offline! Each ‘package’ automatically includes a complimentary Network Membership, providing opportunities for you to be introduced to eligible Full Members in the event that we think you may be a good match. To discuss your requirements please complete our simple Dating Assist Enquiry form below or call us direct on 07576 046332.